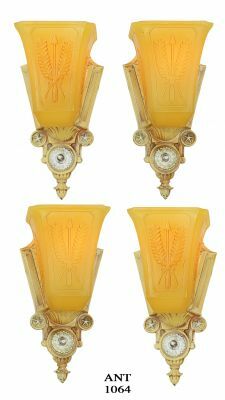 A nice pair of Pre-Art Deco period, two-light, close ceiling fixtures. 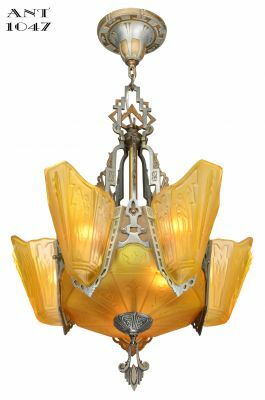 Excellent for a lower ceiling where substantial light is desired. 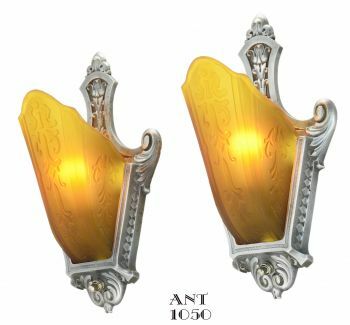 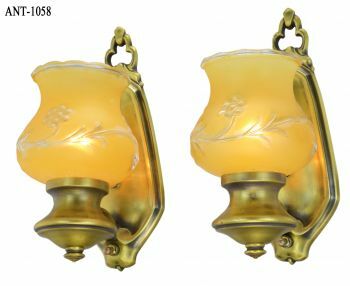 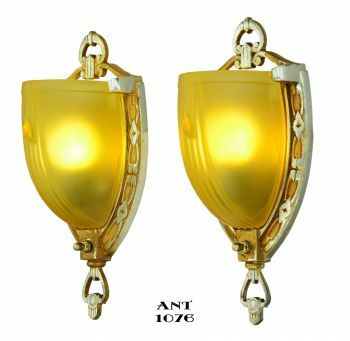 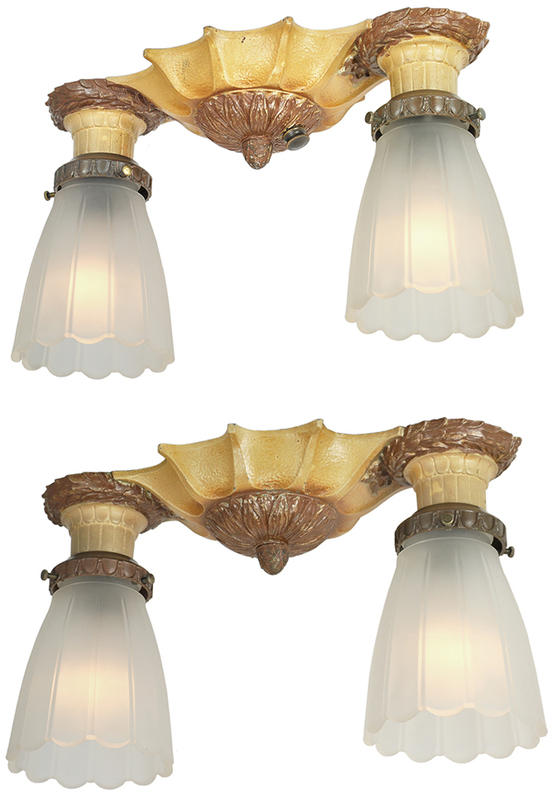 These could, if desired, be mounted with a pull chain for Off/On at the fixture. 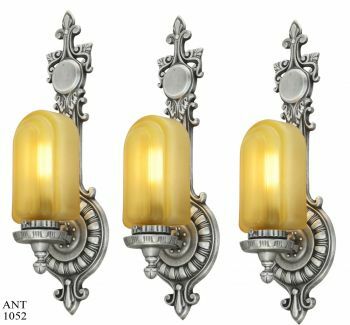 Or they can be used with a dimmer wall switch. 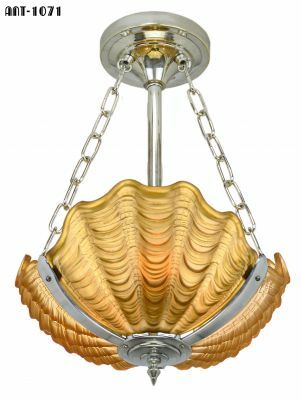 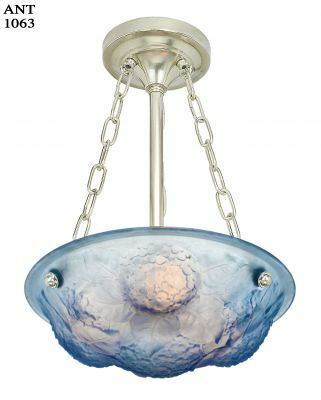 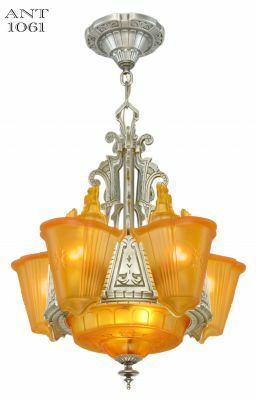 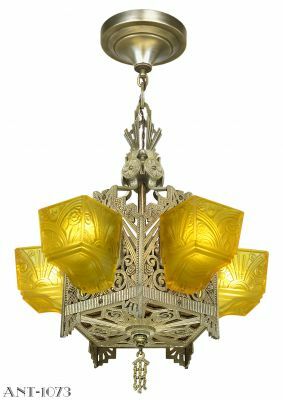 Circa 1920, these fixtures were originally sold both as a close ceiling fixture and with a stem for a longer drop. 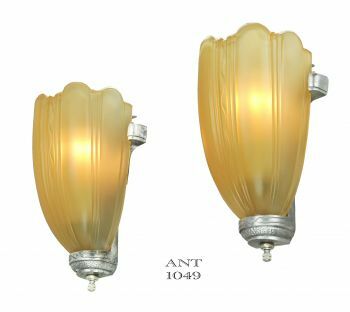 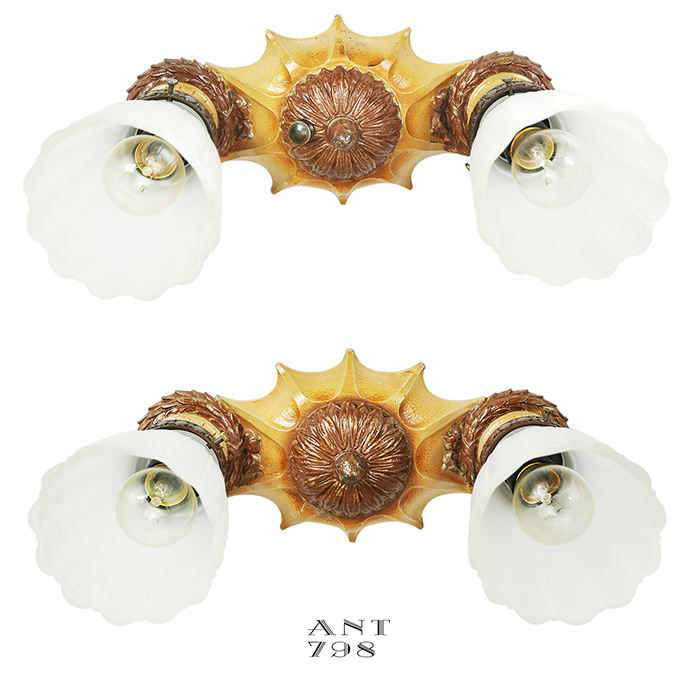 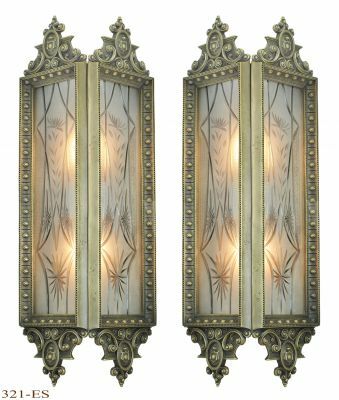 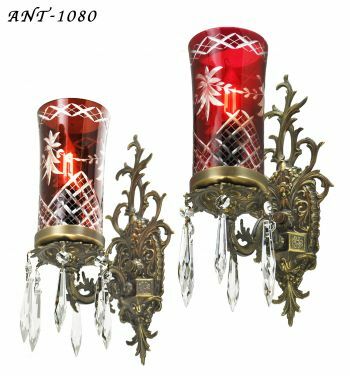 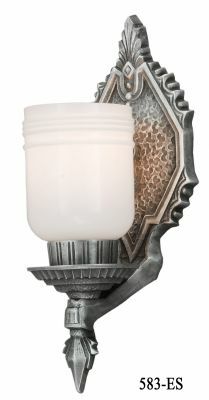 This pair of fixtures were produced just before the true Art Deco era. 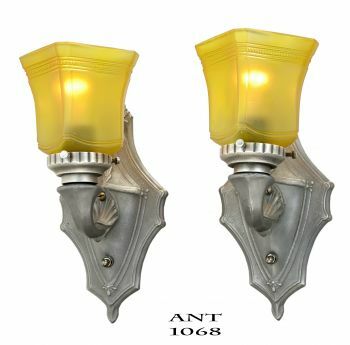 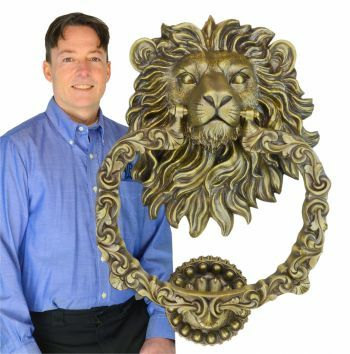 They are heavy cast metal, and painted in original buff and brown colors, which are the original finish. 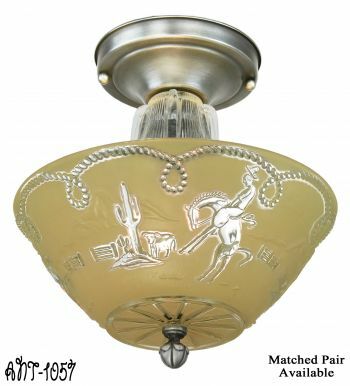 And yes...these finishes do show a bit of age here and there, like any good antique will. 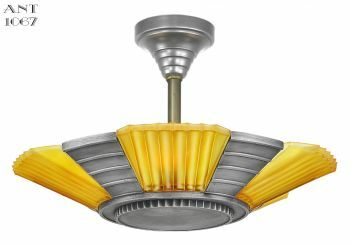 But pretty darn good condition after all these years. 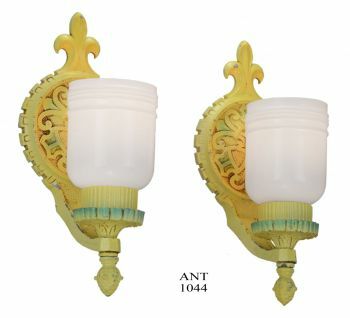 The main difference between these two fixtures is that one fixture originally had a switch. 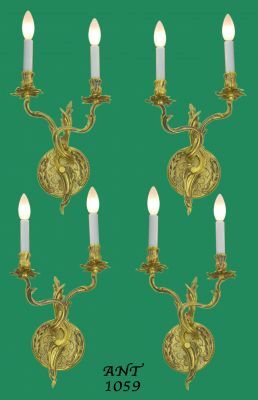 It was removed some time ago, and capped off...as can be seen in the pictures. 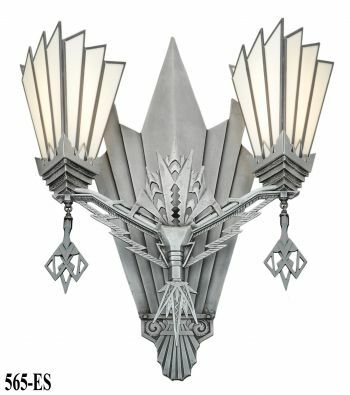 No big deal...but worth mentioning. 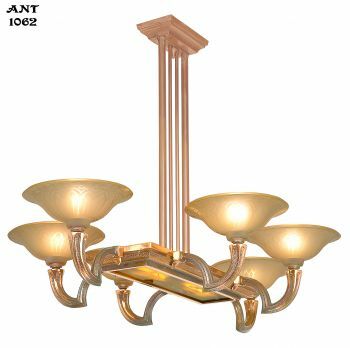 The shades have rather straight and simple lines, so they do not detract from the nice design of the frames. 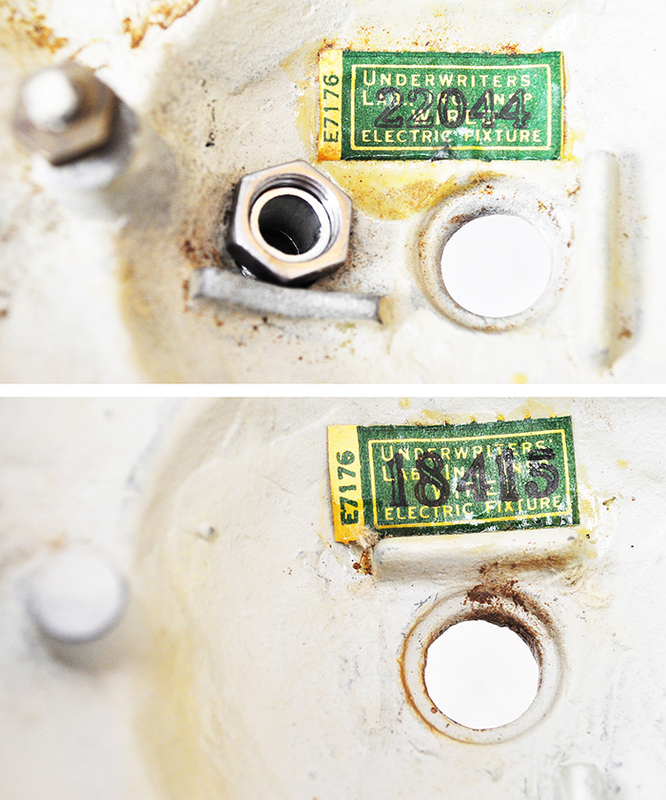 Each fixture fastens directly to a UL approved electrical box by the center finial. 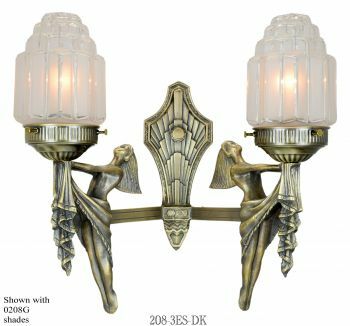 All mounting supplies will be furnished. 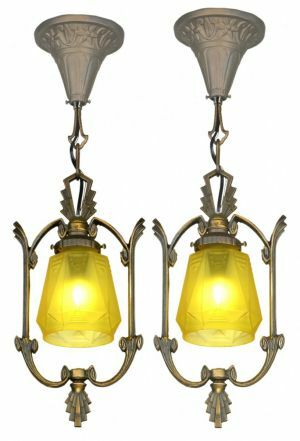 These 2-shade fixtures have been totally rewired to UL code, with new sockets and wire, and are ready to grace a lovely home. 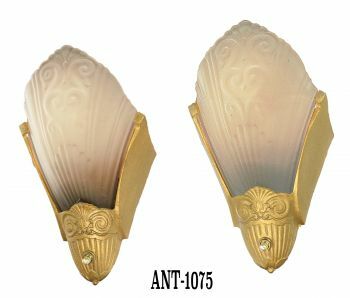 Each socket is fully capable of 100 watt incandescent bulb. 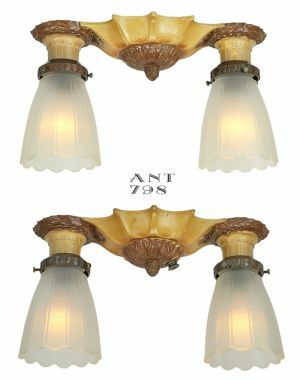 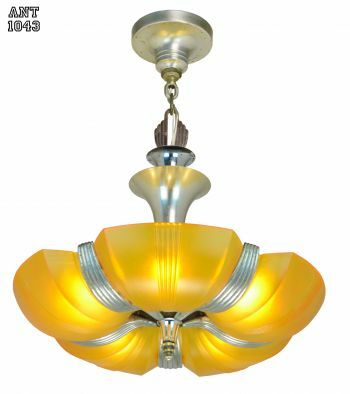 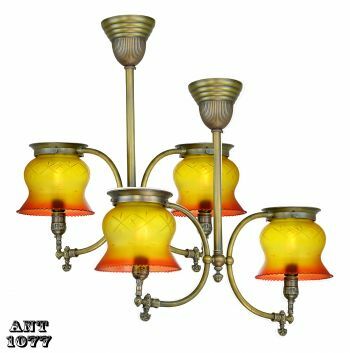 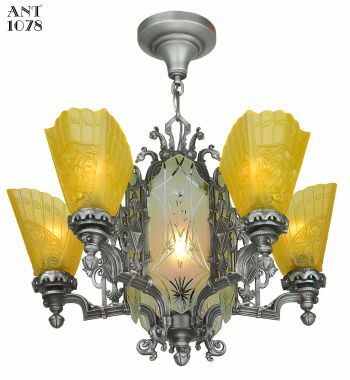 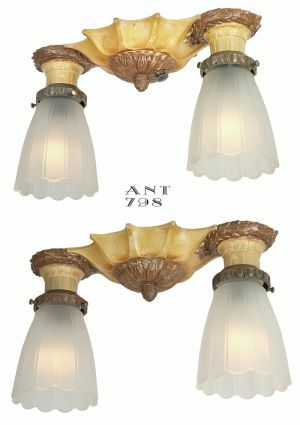 Price: $750.00 for the matching pair of nice design, UL restored, 2-shade, close ceiling fixtures...complete with shades...plus a small shipping charge.